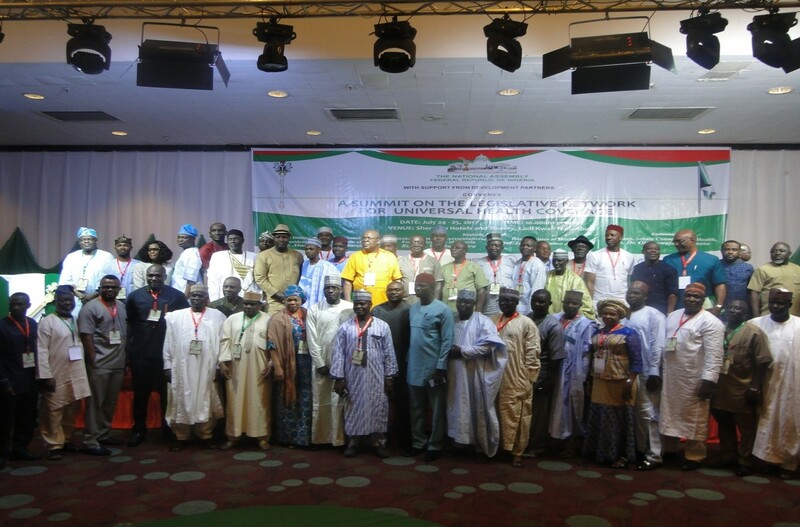 The National Health Dialogue is a platform for all Nigerians to be engaged in conversations on health care, engaging policy makers, patients, stakeholders, development partners, communities, CSO/NGOs, federal, state and local governments on the state of healthcare budgeting, financing, strengthening and implementation for the actualization of Universal Health Coverage in Nigeria. Its goal is to convene a discussion on Universal Health Coverage in Nigeria, exploring the challenges and prospects of accessibility, affordability and availability of healthcare for all Nigerians. CS-SUNN’s Project Director, Beatrice Eluaka in her presentation on Lessons learned and best practices in NGO Advocacy for Heath Sector Financing in Child and Family Health said CS-SUNN’s advocacy efforts under the PACFaH Project has led to the Adoption/Adaptation and improved implementation of the NSPAN at National and 3 states (Kaduna, Nasarawa and Niger state), Creation of budget lines for nutrition with funds allocated in 2017 in the 3 states , Strengthened coalition of government agencies that work together for the implementation of NSPAN and Increased 2017 health sector budget allocation and releases in Nigeria at National and 7 States. She urged Government to fully implement the NSPAN and other nutrition related plans through adequate funding allocation and timely releases of same and to strengthen capacity of state actors for effective implementation of nutrition policies. The Dialogue which had in attendance, Vice President of Nigeria, Prof. Yemi Osinbajo, Minister of Health, Prof. Isaac Adewole and HRH Mohammadu Sanusi II, Emir of Kano as special guest amongst other participants examined, the role of legislature in guaranteeing UHC, The Funding Question in UHC, Inter-ministerial Coordination for health Sector financing, Media Advocacy and Accountability Strategies for achieving UHC amongst others.